After the end of World War II, at the birth of the Philippine Republic which gained independence from the United States of America on July 4, 1946, “Republic Academy” was established in June 1946 as a private high school. It was initially housed in a rented building located at Plaridel Street, in what was then the Municipality of Angeles, Pampanga. 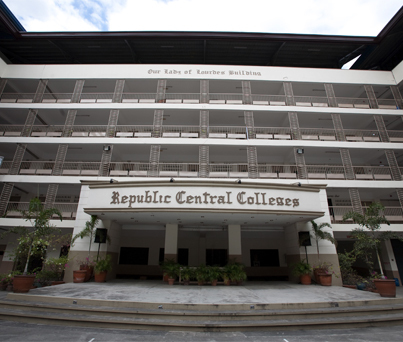 Republic Academy was later named Republic Central Colleges was founded by the Hon. Rafael L. Lazatin with the support of his spouse, Loreto Paras Feliciano. Hon. Rafael L. Lazatin, a prominent agriculturist and industrialist, was a two-term mayor of Angeles City, and provincial board member, two-term governor, and Batasang Pambansa Assemblyman representing the Province of Pampanga. The founder was aptly guided by his great faith in the Lord and inspired by his unquenchable desire to serve the public.